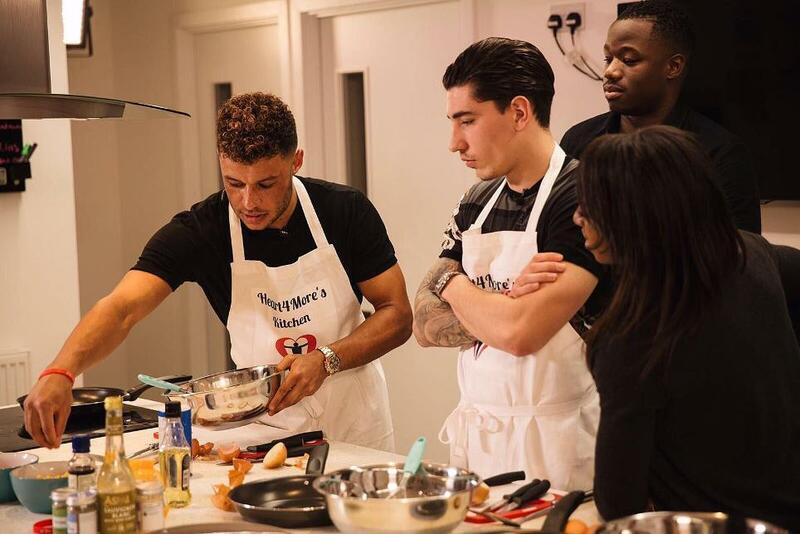 Arsenal’s first-team stars Hector Bellerin, Alex Oxlade-Chamberlain and Chuba Akpom joined Arsenal Ladies and England forward Danielle Carter in a cookery challenge in aid of Heart4More Foundation’s healthy eating campaign. The Arsenal Foundation have been supporting Heart4More, a charity which uses the power of football to raise awareness of cardiac health. A donation of £20,000 from the club helped fund a community project in South Africa last summer called #LetsChangeTheGame. The programme aims to train 1,600 young people in CPR and lifesaving skills through engagement with sport. Defibrillators will be donated to selected townships, along with sports equipment. Participants will also help with the renovation of an orphanage as part of the project. By only using fresh ingredients designed to keep the heart healthy, the four players used all their culinary knowledge to cook up a storm, as the video above reveals. This week, it was also revealed that match shirts which Arsenal’s players wore against Tottenham Hotspur, ahead of Remembrance Sunday, raised £35,000 through auction for the Royal British Legion.